We couldn’t believe that the parking lot at the Lighthouse was so packed today! There were lots of other people celebrating Christmas on the beach with us and they had their bags and buckets overflowing with seashells. I’ve seen a lot of seaweed and algae on the beaches the last couple of days but the Lighthouse has the thickest deposit and is mixed with tons of PARCHMENT WORMS. They look like whitish tubular sausage casings. They may look ugly on the beach to some people but this is the kind of stuff that catches the shells and drags them on the beach too. This is a good time to have a stick, net or Clark’s shelling “backhoe” so you can move some of that stuff around to see what’s underneath. I saw bags of LIGHTENING WHELKS, FIGHTING CONCHS and MUREXES. Clark was finding gorgeous PAPER FIGS which are normally broken by the time they get to the beach since they are so thin and delicate. All of the parchment worms and seaweed protect them a bit so they get to the beach in one piece. Santa’s elves (love those hats!!! ), Lisa and her daughter Sage, have been visiting from Toronto for 3 weeks and said the shelling has been great. Lisa told me she has been coming to Sanibel every year since she was 5 years old. Her father brought her and now Lisa follows the tradition and brings her daughter. Sage said her best shell was a 10 inch HORSE CONCH that she found last Saturday. They said that last weekend was the best shelling that they’ve seen in years. (…and I was out of town!) They hadn’t found much today since they’ve gotten a little more picky but it’s also a tradition to walk the beach on Christmas day with their adorable Santa hats. Not a bad tradition. I was very excited to see Mary Jo on the beach since she’s a friend, fellow sheller and a shell expert. She works at one of my favorite places…..The Bailey-Matthews Shell Museum. I always like to talk “shelling” with Mary Jo because she is a wealth of knowledge. 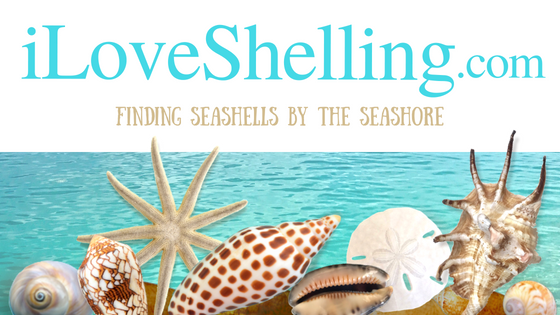 I love shelling but I’m not a scientific shell expert …..only a shelling expert (if there is there such a thing) so I love to learn from her. Her friend Judy (her college roommate) who was visiting for the holiday, had already filled her fist with LIGHTENING WHELKS, PEN SHELLS, PAPER FIGS and I think a FIGHTING CONCH too so said she couldn’t carry anything else. Thanks, Santa for bringing lots of treasures. Merry Christmas!